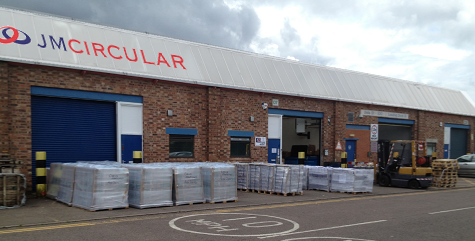 JM Circular Leaflet Distribution was established in 2003, And has since expanded to employ over 24 full time staff, from management to fully uniformed trained distributors. The growth of the Business has been due, to the ever increasing demands from the market place for Professional Leaflet Distributors who can fulfil the clients needs by starting and finishing a campaign exactly to their requirements. Leaflet Distribution packages start from 6,000 to 1,000,000 leaflets and above, plus Samples and Newspapers, Covering campaigns for large corporate Businesses to smaller independent Companies. Servicing the leaflet distribution needs of local businesses for nearly 15 years! 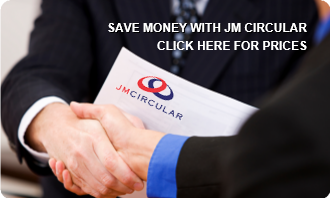 "I would definitely recommend JM Circular as a door to door leaflet distribution company for all aspects of direct marketing to the general public. Whether it be for promotional campaigns, targeting specific customers or seasonal campaigning." The need for a more reliable Leaflet Distribution Company and secondary options for clients. Fully trained and Uniformed fulltime staff (Paye) creating confidence for the client. 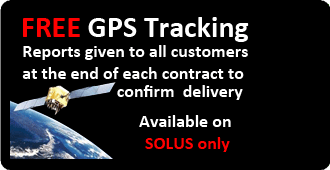 Supervisors / Teamleaders constantly monitoring all distributors on foot, whilst always in constant radio communication with each other and JM Circular offices. Shorter lead and distribution times than Royal Mail and National Press from quotations to distribution. Post Coded Sector planning using the latest software, giving up to date info to plan quantities of material / literature into each post coded sector, saving on print costs. Working all weathers come rain or shine. Guaranteed non conflicting material to be distributed along side your campaign.